Dr. Christopher Roberts is board certified in internal medicine and pulmonary disease, as well as in critical care medicine. He received his degree from the University of Colorado Denver School of Medicine and completed his residency at Maricopa Medical Center, where he also underwent a fellowship training program. Over the course of his medical career of over 20 years, Dr. Robert has contributed to numerous publications. 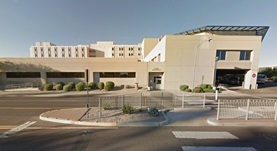 At the time, he is practicing in Arizona, at HonorHealth Scottsdale Osborn Medical Center. Dr. Christopher Roberts has contributed to 3 publications. Osmolyte Effects on Monoclonal Antibody Stability and Concentration-Dependent Protein Interactions with Water and Common Osmolytes. Barnett, G. V.,Razinkov, V. I.,Kerwin, B. A.,Blake, S.,Qi, W.,Curtis, R. A.,Roberts, C. J.; J Phys Chem B. 2016 Mar 24. Acetate- and Citrate-Specific Ion Effects on Unfolding and Temperature-Dependent Aggregation Rates of Anti-Streptavidin IgG1. Barnett, G. V.,Razinkov, V. I.,Kerwin, B. A.,Hillsley, A.,Roberts, C. J.; J Pharm Sci. 2016 Feb 18. Aggregate structure, morphology and the effect of aggregation mechanisms on viscosity at elevated protein concentrations. Barnett, G. V.,Qi, W.,Amin, S.,Neil Lewis, E.,Roberts, C. J.; Biophys. Chem.. 2015 Aug 19.